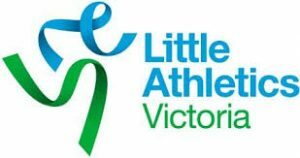 Welcome to Croydon Little Athletics Centre! Our centre objectives are FUN, FAMILY and FITNESS. Please explore our website and keep up to date with our facebook feed below. In the event of wet or inclement weather if a Program is cancelled it will be run the following week. Sometimes if it is not possible to run the scheduled Program we may elect to run certain events. For this season it will be a minimal cost of $1 per race for the kids to compete and if adults want to run with the kids it is $2 per race for them. Also the adults will need to pay $25 for the season to cover them for insurance purposes (e.g. ambulance). If anyone is interested in doing any training at all, we are welcome to train with Jamie Strudley at Morrison Reserve (Yarra Ranges athletics track). Training is on a Tuesday and Thursday 6.00pm till 7.30pm. You can choose to run in just 1 race or even all of the events. You do not just have to run in your age bracket. PB’s are recorded at each venue and rewarded with lollies/chocolate. Round 2 of the cross country season has just flown by. The weather for round 2 at Lilydale Lake was quite good with the bad weather holding off until the afternoon and with a new start and finishing line, it certainly made the course more interesting. Thank you again to all helpers across all the races. Your help is much appreciated. This week there is Easter holidays so we will be having a week’s break but when we return we will be at Margaret Lewis Reserve, Coldstream on Saturday April 27th. Warm up’s start at 8.45am and P.B. lollies will be in place so come along and grab yourself some sweets. Saturday’s weather was outstanding with beautiful sunshine and in that the turnout was fantastic up at Morrison’s reserve. This week we head to Lilydale Lake for warm ups starting at 8.45am. We meet on the far side of the playground, opposite side from the toilets, in the hut over there. Hope to again see all your smiling faces there.